In late August 2015, Brian Rozmahel, a farmer near the Town of Viking, was working in one of his fields. He recently experienced problems with gophers causing damage to his crops and decided to set up several traps as a preventative measure. One morning he went out to check the traps he set the day before and discovered something he was not expecting to find. A badger got to the site overnight and dug into the gopher burrows. Quite a bit of earth was brought up through the badger’s digging. However, there was more than just earth that was surfaced by the badger. Resting on the ground near the burrows were human remains and other items such as buttons and beads. When Brian encountered the remains he immediately contacted the Viking Detachment of the RCMP. The RCMP cordoned off the site and did an initial investigation of the area. In the meantime, the exposed human remains were sent to the Office of the Chief Medical Examiner (OCME) for further analysis. Everyone says my mother (Marina Lynch-Staunton) has Bette Davis eyes. Perhaps she used them, back in 1955, to catch the judges’ eyes. That’s when Marina was crowned Queen at the Crow’s Nest Pass Winter Carnival. The tale of Marina’s crowning achievement has an unlikely beginning. Picture this: a grassy hillside overlooking the Oldman River. There, a hop, skip and jump east of The Gap—the water gap through which the Oldman River cuts through the Livingstone Range—a farm tractor was used to power a rope tow that pulled skiing enthusiasts from the surrounding ranching community to the top of “Mount Pleasant,” a modest climb from the Oldman’s storied shores. 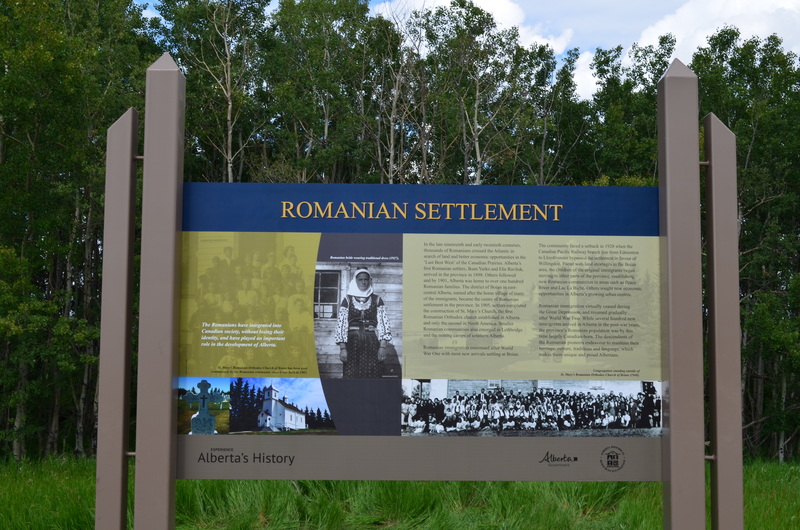 One of the latest additions to the Provincial Heritage Marker collection details the history of Romanian settlement in Alberta, starting with the first Romanian pioneers to settle in the province in 1898, Ikum Yurko and Elie Ravliuk. The earliest Romanian settlements in Alberta were concentrated in the east-central part of the province, where communities such as Boian flourished in the early twentieth century. 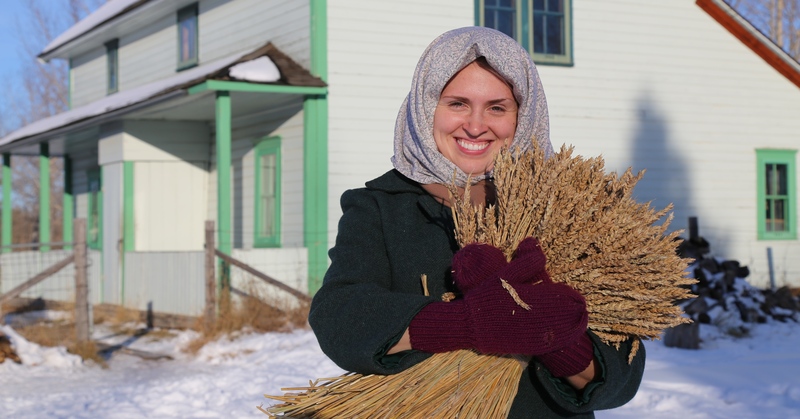 New Romanian-Albertan communities emerged in the late 1920s as the children of the first generation began to move to other parts of the province in search of land and new opportunities. 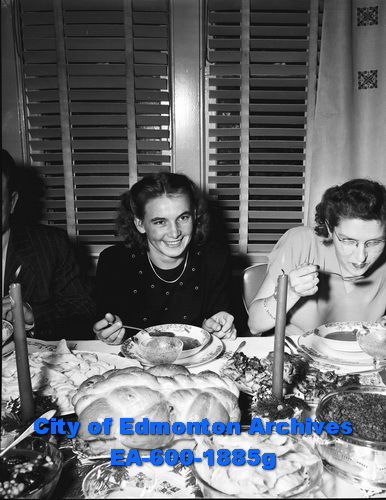 By the 1950s the province’s Romanian population was predominantly Canadian-born, but Romanian culture, traditions and language still flourished in Alberta. New Heritage Marker installed in June 2015 on Highway 45 east of Willingdon. The marker was installed on Highway 45 east of Willingdon in June 2015. The Provincial Heritage Marker Program promotes greater awareness of the provincially-significant people, places, events and themes that have defined the history and character of our province. Topics relevant to the history of immigration, settlement and ethnic history has been an important part of the program since it was first launched in 1955. The public plays an important role in the program, and we welcome applications from groups or individuals who want to propose topics and locations for future markers, including our popular urban/trail-sized markers, suitable for placement in towns, parks, and other locations with pedestrian traffic. For more information about the program, please visit our website.